Brower & Sons is your go-to company in Bayshore, for Pressure Washing Chimney Cleaning and more! The Professional team at Brower & Sons has over 30 years of experience in the handyman business in the Bayshore area, and all around Suffolk County Long Island. 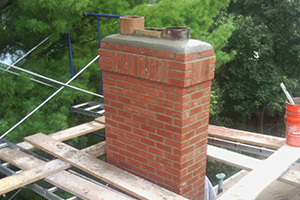 We specialize in Chimney Cleaning, Chimney Repairs, Power Washing, Gutter Cleaning, house hold maintenance and so much more. Our outstanding services are all personalized to your specific needs, and we will make it our priority to work within your time frame, while also staying within your budget. Having a dirty chimney carries the risk of breathing in dangerous flue gases. A clean chimney will carry those gases out of the house to ensure clean, breathable air. Also, a dirty chimney could cause chimney fires, which may lead to devastating events such as destroying homes, and killing people. Call your local Bayshore Chimney Cleaners, Brower & Sons, and trust our professional team to make sure that your chimney is cleaned, and in perfect working condition at all times. We are your Handyman Company of choice, the one you can count on when the need arises. Our professionally trained staff will provide you with outstanding services at a price you can afford, and will make sure that you are kept satisfied at all times. Call Brower & Sons today on: 516-889-7926. For MONEY SAVING coupons for our Bayshore power washing, gutter cleaning, chimney cleaning, window washing and repairs click below.